There are few things we love more than having fresh blooms around the house and office. The beauty of flowers is fleeting by nature, and it’s important to take care of them to extend their lifespan (and your enjoyment). There’s nothing worse than seeing an incredible fresh flower arrangement wilt after just a couple of days. Whether you’ve received an arrangement as a gift or have some flowers left over from your wedding or event decor, we’ve got 6 tips for how to care for your fresh flowers to keep them looking amazing for as long as possible. Make sure every stem is submerged under water. Depriving your flowers from water is the quickest way for them wilt. Ensuring that your blooms have ample water is the first step to keeping them healthy. The second biggest way to keep your flowers looking fresh is to swap the water out every day or two. If the water is cloudy, it needs to be changed. (Changing it before it gets cloudy is even better!) As water sits, bacteria begins to build up speeding the wilting process. By refreshing the water, you’re flushing out a lot of that bacteria and allowing your flowers to healthily plump their petals with clean H2O. If your flowers are arranged in floral foam and you’re not able to simply lift everything out, changing the water can seem like a no-go. Not the case! Set your arrangement in the sink, gently spread a section of the flowers apart so a thin stream of water can fit in between, and run the faucet for a minute until water flows over the vessel flushing the old water out. Some lights give off a lot of heat. Try to keep your fresh flowers out from under hot, bright lights. Similarly, move your flowers away from windows that let a lot of direct sunlight in. Fresh fruit emits ethylene gas which causes many flowers to wilt more quickly than they otherwise would. This is not to say that you can’t have fruit in your house, but if you’ve got some bananas sitting out on the kitchen counter, don’t put your arrangement right next to them. Every few days, it’s a good idea to give the ends of your stems a fresh trim (with clean scissors). This allows water to more freely flow up to the petals. 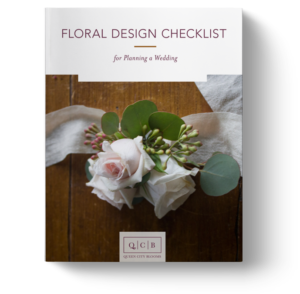 If your arrangement includes floral foam this might be a bit more complicated, but if your flowers are in a vase simply pick everything up at once, and clip the ends by a quarter of an inch or more. As your arrangement ages, inevitably the flowers will begin to wilt. This doesn’t necessarily mean you have to throw out the entire thing! Take the individual wilted flowers out as they begin to fade to preserve the overall health of the arrangement. Bonus Tip: If you notice the neck of a flower just beginning to bend a bit, you can trim the end of the stem and see if it perks back up. This won’t work every time, but it’s always worth a shot! The nature of fresh flowers is that they will eventually die. Seems to us like that’s all the more reason to cherish them while they’re at their best! Don’t let your flowers just wither away. With these 6 tips, we’ve given you the know-how to care for your fresh flowers. Next time you’ve got an arrangement at home, test these tips out and see if they make a difference in the lifespan of your fresh blooms.